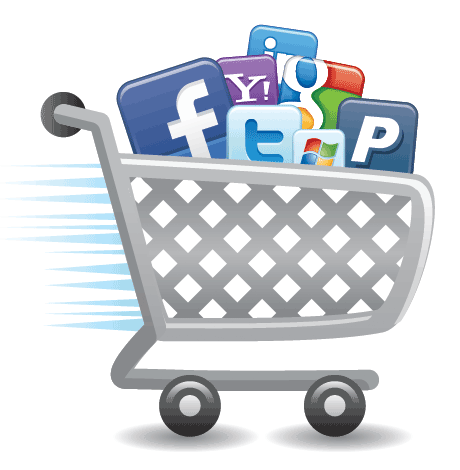 What Does Ecommerce Mean for Social Media's Future? This past week, several mobile users reported the presence of a “Payments and Shipping” option on Twitter through it’s Android app. While the option itself serves no function, as of this writing, it’s safe to assume that the social media mogul will soon integrate some form of ecommerce onto its mobile platform and perhaps Twitter in general. Keep in mind that this isn’t the first instance of ecommerce being integrated into social media in some respect and any Long Island SEO firm can attest to this. For example, Shopify – an ecommerce platform which allows even the smallest of businesses to create their own online marketplaces – allows for integration on sites like Facebook. In addition, it was only a couple of months ago that Facebook unveiled its own “Buy” button, designed to allow users to purchase advertised items right from their news feeds. To say that ecommerce, on social media, is anything new would be nothing short of a lie. However, I am of the opinion that this growing emphasis on ecommerce is indicative of social media and where it is headed in the future. Impulse buys are different, since products are introduced to you not only immediately but at attractive price points. The products in question might not even be ones that you need but they look so promising that you can’t help but to take notice of them. For instance, you can justify purchasing a Netflix subscription through Facebook since it immediately catches your eye with a cost that won’t break the bank in the long run. You will also be fully aware of its value, which is more important than anything. I feel as though it’s important to come to terms with ecommerce as it relates to social media. Before we know it, both of these concepts are going to come together because, to put it simply, it’s an easy integration. We don’t want to click around various websites in order to go about Christmas shopping. It’s a hassle to have several tabs open, having to click between them. With Facebook or Twitter bring ecommerce to the forefront, we are able to get everything that we need on one platform, thereby increasing the value of social media in general. In addition, just about everyone has an account, so it’s not like this is going to be built for a niche audience. My only word of warning, to the companies with desires to bring ecommerce to the forefront, is to not make it the focus. Social media, ever since the manifestation of sites like SixDegrees, has always been rooted in conversation. Engagement was the key point and any kind of advertising served to complement the overall experience; it did not become the experience itself. Ecommerce should be treated the same way. While I’m confident that Twitter, Facebook, and potentially other websites will be careful about how ecommerce is incorporated – in relation to overall engagement – it’s a point to go over nonetheless. Social media can only expand and develop as time goes on. Ecommerce is just another piece of the proverbial puzzle waiting to be cemented.